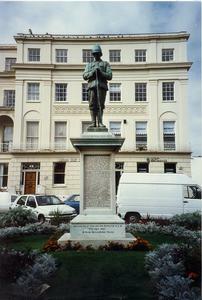 FIGURE OF BOER WAR SOLDIER WITH ARMS REVERSED. 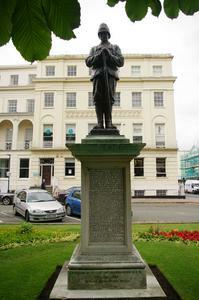 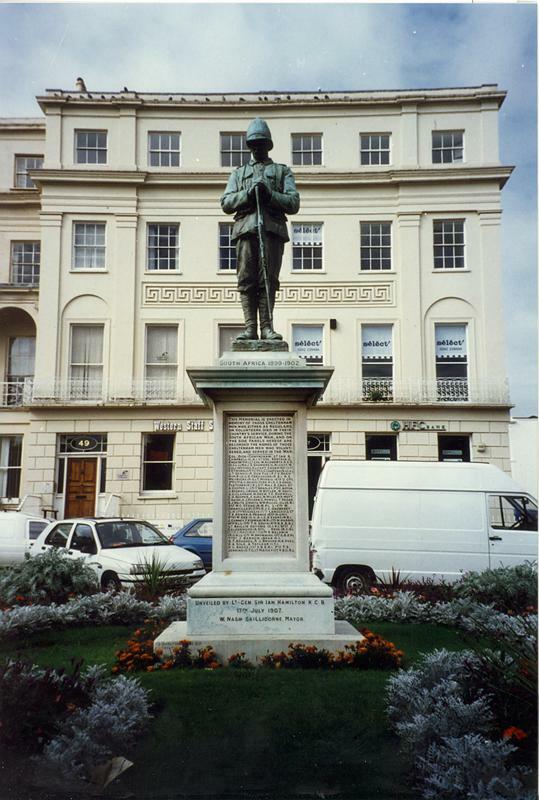 FIGURE SURMOUNTS PLINTH. 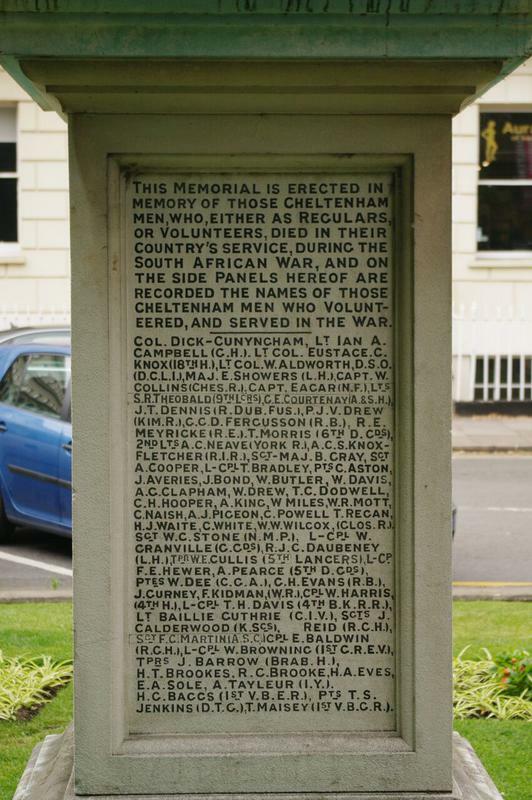 PLINTHS BEARS NAMES AND INSCRIPTION IN BLACK LETTERING. 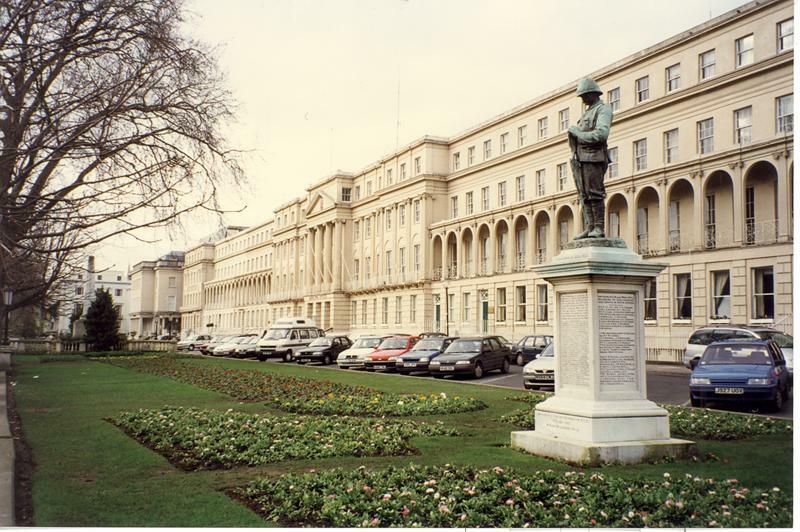 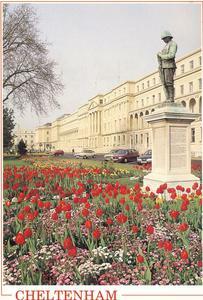 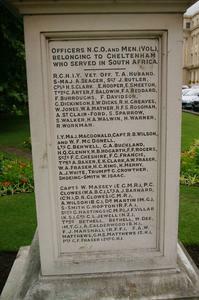 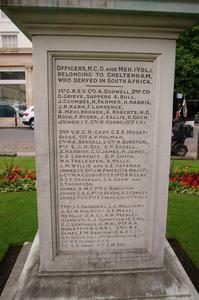 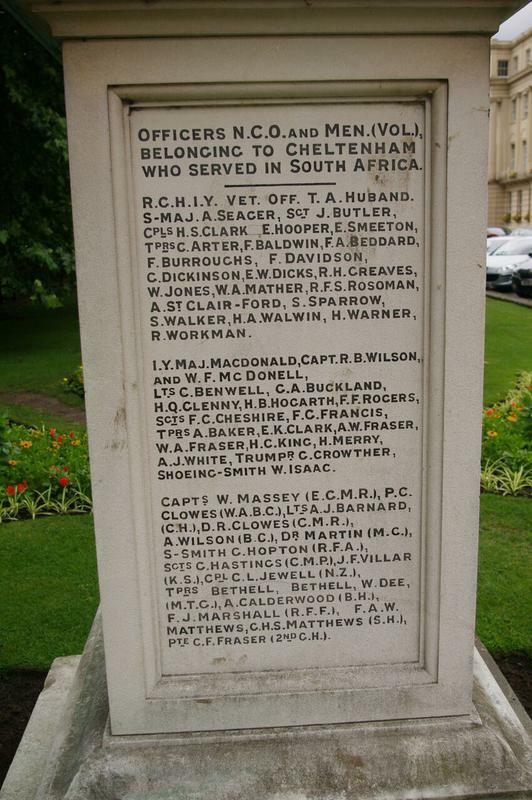 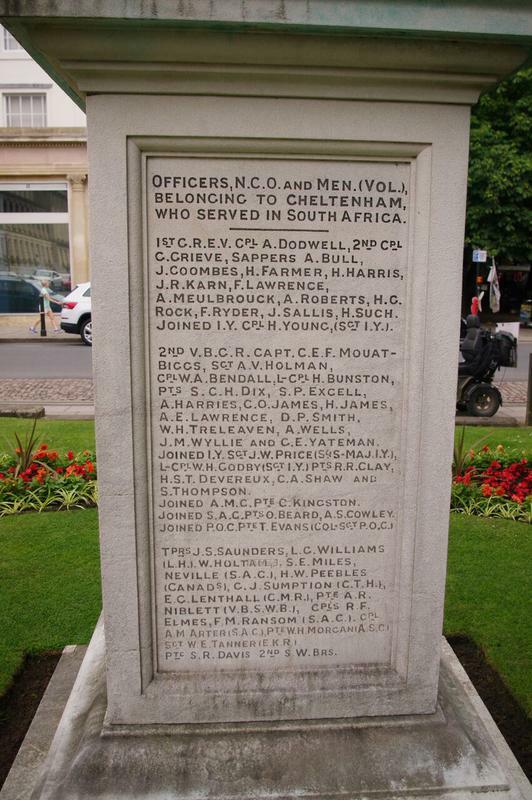 SOUTH AFRICA 1899-1902/ THIS MEMORIAL IS ERECTED IN/ MEMORY OF THOSE CHELTENHAM/ MEN, WHO, EITHER AS REGULARS,/ OR VOLUNTEERS, DIED IN THIER/ COUNTRY'S SERVICE, DURING THE SOUTH AFRICAN WAR, AND ON/ THE SIDE PANELS HEREOF ARE/ RECORDED THE NAMES OF THOSE/ CHELTENHAM MEN WHO VOLUNT-/EERED, AND SERVED IN THE WAR/ (NAMES)/ UNVEILED BY LT. COL SIR IAN HAMILTON K.C.B./ 17TH JULY 1907/ W. NASH SKILLICORNE, MAYOR.